SALT LAKE CITY, June 26, 2012 /PRNewswire/ -- USANA Health Sciences, Inc. (NYSE: USNA), a global nutritional supplement company, today announced that it will be joining the 2012 Direct Selling Association Code of Ethics Communication Initiative. USANA is one of 44 dedicated DSA member companies whose application for participation was approved. Participation in the DSA member company is optional, but doing so enables USANA to showcase their extra efforts and commitment to the Code of Ethics. "USANA regularly goes above and beyond to distinguish itself as an ethical company," said Dan Whitney, USANA executive director of international development and compliance. "As a publicly traded company, our goal is to always be transparent in how we conduct our business. It's important to us that we demonstrate our commitment to the highest level of ethics—from our financial reporting to our scientific research to how we treat our employees." The DSA Code of Ethics ensures that member companies will not make any statements or promises that may mislead either consumers or prospective sales people. They recognize that pyramid schemes are illegal and companies operating such pyramids are not permitted to be members of the DSA. "It's a privilege to be a member of the DSA code of ethics, and we take it seriously," said Dan Macuga, USANA chief communications officer. "The direct selling business model is sometimes misunderstood. Through our participation in the DSA, we can help educate the public about direct selling, while holding ourselves and other multi-level marketing companies accountable to a high operating standard." USANA has also just become a member of the Direct Selling Women's Alliance (DSWA). The DSWA recognizes that more than 87% of direct sellers worldwide are women, and feel that it's important to focus on that particular group. Nicki Keohohou, co-founder and partner in charge of marketing for the DSWA, recently spoke at USANA's first ever Successful Women Empowering Entrepreneurs Together (SWEET) two-day training and empowerment retreat to support female entrepreneurs. About USANA: USANA Health Sciences (NYSE: USNA) develops and manufactures high-quality nutritionals, personal care, energy, and weight-management products that are sold directly to Preferred Customers and Associates throughout the United States, Canada, Australia, New Zealand, Hong Kong, Japan, Taiwan, China, South Korea, Singapore, Malaysia, the Philippines, Thailand, France, Belgium, Mexico, the Netherlands, and the United Kingdom. Learn more at the USANA website (http://www.usana.com/), stay current with the official USANA lifestyle blog (http://www.whatsupusana.com/) and USANA corporate blog (blog.USANA.com), like us on the USANA Facebook page (www.facebook.com/USANAhealthsciences), or follow USANA on Twitter (@USANAinc). SALT LAKE CITY, June 21, 2012 /PRNewswire/ -- USANA Health Sciences, Inc. (NYSE: USNA), a global nutritional company, today announced that it has received one silver and nine bronze American Business Awards, acknowledging the hard-work and dedication of its management team and employees. 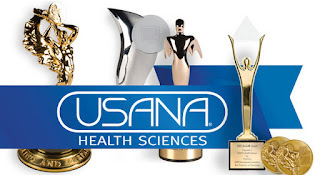 USANA has also received recognition from The Best of State, Communicator Awards, Telly Awards, and AVA Awards, among others, earning the company more than 50 accolades during its first two quarters. Honoring organizations and business individuals across the nation, The American Business Awards presented USANA with medals for having one of the country's best Management Teams, CEO, company, communications department, warehouse operations, and social media campaigns this year. 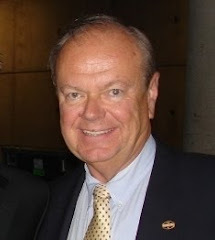 USANA's Chief Legal Officer and General Counsel, Jim Bramble, was named Maverick of the Year for his notable guidance and commitment to ethics, while Chief Communications Officer, Dan Macuga, and Executive Director of Marketing, PR and Social Media, Ashley Collins, were both named PR Executive of the Year for their vision and leadership in public relations. Executive Assistant, Andrea Chen also earned notable honors and was named Support Staffer of the Year for providing exceptional assistance to USANA's President of the Americas and Europe, Kevin Guest. "To be recognized and honored by the American Business Awards in multiple categories is a privilege and a testament of our commitment to producing high-quality, innovative products," said Macuga. "USANA continues to push the envelope and excel in everything we do, and we are thrilled to have received such a large amount of accolades already during our 20th anniversary." The Best of State Awards are given to companies or individuals based off of their excelled endeavors, innovative approaches and methods, and contributions to creating a better quality of life in Utah. The Communicator Awards recognize big ideas in marketing and communications, honoring work that transcends innovation and craft, and this year USANA was honored with a number of gold and silver awards: nine for writing and design for the company's print publications, two for video production, an award for crisis communications, one for The Healthy Home and another for the company's corporate blog, What's Up, USANA? The Telly Awards honor the finest film and video productions, including groundbreaking online, local, regional, and cable television commercials and programs. Acknowledged for its high-impact TV ads and online videos, used to promote its brand, educate consumers and support its distributors, USANA received five Telly honors. The company was also recognized by The AVA Awards earlier in the year for its outstanding concepts, direction, design, and production of media, with eight video production awards and two social media honors. Other accolades received include two Hermes Creative Awards, a Communitas honor, and top rankings as "Distributors Choice" Best Company in Network Marketing, for the 15th consecutive year since 1997, from NetWork Marketing Today & The MLM Insider Magazine. For more information about USANA's products and company, visit http://www.usana.com/. USANA Health Sciences (NYSE: USNA) develops and manufactures high-quality nutritionals, personal care, energy and weight management products that are sold directly to Preferred Customers and Associates throughout the United States, Mexico, Canada, Australia, New Zealand, Hong Kong, Japan, Taiwan, China, South Korea, Singapore, Malaysia, the Philippines, Thailand, the Netherlands, France, Belgium and the United Kingdom. Learn more at the USANA website (http://www.usana.com/), stay current with the official USANA lifestyle blog (http://www.whatsupusana.com/), like us on the USANA Facebook page (www.facebook.com/usanahealthsciences), or follow USANA on Twitter (@usanainc). As you well know, we’re celebrating 20 years at USANA. An anniversary this big deserves some serious recognition. Now, you could send a card, take us to lunch, or buy us flowers, but why not give a gift that will keep on giving? 1. Attend Events—Events such as Steps to Success, Super Saturdays, and Cross-Regional Conferences allow you to make connections with other Associates and participate in some powerful training sessions. 2. Utilize Social Media—If you haven’t done so already, take advantage of social media to spread your business across the web. Start a blog (you can pick up some ideas from What’s Up, USANA?) and share stories and raise interest on Facebook, Twitter, and LinkedIn. 3. Use Sales Tools—Print off USANA flyers and be sure to carry Health & Freedom Newspapers and other sales tools with you, so you will be ready at the drop of a hat to share them with your prospects. 4. Autoship—Sign up for Autoship to keep your supplements coming on schedule. It’s also a convenient way to save money on your purchases, which can really add up. 5. Presentation Skills—Sharpen your presentation skills by attending team meetings, talking with your upline, or practicing with a friend. 6. Use the Products—When you use our high-quality supplements, it will not only show, but you will have the experience to draw on to give a sincere testimony when sharing with prospects. 7. Conference Calls—Be sure to tune in each week for our amazing Conference Calls. Each call features a variety of tips from top Associates and other leaders that could help you take your business to the next level. 8. Logo Gear—Let your clothes do the talking for you and start the conversation while sporting a USANA shirt, pants, or cap. 9. 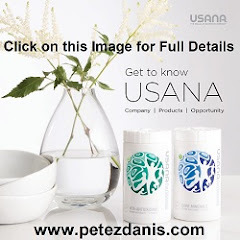 Stay Informed—Be sure to check USANAtoday and What’s Up USANA? on a daily basis to keep up-to-date on all the latest USANA news. Also follow us on Twitter and Facebook. 10. LifeMasters—Listen in or read the transcript of the latest LifeMasters. Each month features tips from successful Associates regarding different aspects of the business and ways to improve them. 11. Contests and Incentives—Take part in Matching Bonus and PaceSetter programs as a way to build wealth on top of your commission. Be sure to participate in all of the USANA contests and incentives for a chance to win big. 12. Host Your Own—Keep it lively by hosting your own friendly competitions. Learn how to host your own RESET Challenge or Sensé Spa Party. 13. Dress for Success— Making a great first impression is crucial to the success of your business. Make sure your wardrobe and appearance send the right message. 14. Samples—There’s no better way to explain the benefits of your favorite products than to let people experience it for themselves. Keep Sensé sample packs on hand for spur-of-the-moment prospecting. 15. Organization—Maintain an updated contact list. Go through your list on a regular basis and re-connect with old prospects. 16. Goals—Where there are no goals, there is little progress. Be sure to set personal and financial goals and display them in a place where they will serve as daily reminders to keep you on track. 17. eApprentice—It’s always a good idea to go back and review the basics. Take a refresher course of eApprentice to keep it fresh in your mind. 18. Follow up—Once you have shared a sample, flyer, or product, follow up with prospects. 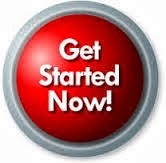 Let them know you are genuinely interested in helping them start a new life of health and wealth. 19. Seize the Day—Your attitude is everything and determines the level of your success. Don’t wait for business to come to you, get out and seize every opportunity to grow and progress. 20. Attend Convention 2012—Don’t miss our 20th anniversary celebration during International Convention 2012. It will truly be an event to remember! These are just a few suggestions to get you going. Brainstorm with your team to come up with other great ideas, such as devising a team business plan to rank advance together, or making an accountability chart and reporting weekly progress. However you decide to do it, take your business up a notch and raise a toast to USANA—here’s to another 20 years of true health and true wealth! SALT LAKE CITY, June 14, 2012 -- USANA Health Sciences, Inc., a global nutritional supplements company, today announced that it will be sponsoring marathon runner, adventure mountain climber, and speaker Mike Allsop on his 777 Project. His adventure, which will be tracked via GPS, starts on July 14 in Falkland Islands (biogeographically, part of the Antarctic ecozone) and moves onto Santiago (South America), then Los Angeles (North America), London (Europe), Casablanca (Africa), Hong Kong (Asia), and ends in Auckland (Oceania) on July 22. Allsop hopes to be the first New Zealander to accomplish what only a handful of the world's athletes have. "I began taking USANA products five months ago and have been quite astounded with the results," said Allsop. 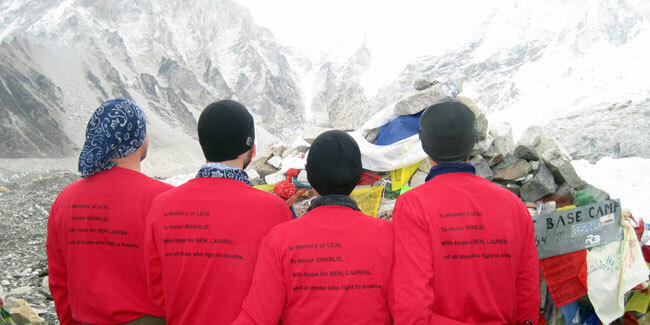 "I have always used some sort of multivitamin supplement on all my adventures and expeditions. When I changed to USANA, I couldn't believe the results. I felt so good and so different! I had more energy during my training and throughout the day. Without a shadow of a doubt USANA has enabled me to train hard and recover faster. USANA is my foundation--I trust their supplements." Allsop hopes the 777 Project will inspire disadvantaged children to achieve all their hopes and dreams, and raise $10,000 for the children's charity KidsCan. Allsop regularly talks to schools as part of his philanthropic efforts and says he gets his motivation from his wife, Wendy, and their three children, Ethan, Maya, and Dylan. "Mike embodies USANA's core values--we believe in true health, philanthropy and challenging ourselves and others to do amazing things," said Dan Macuga, USANA chief communications officer. 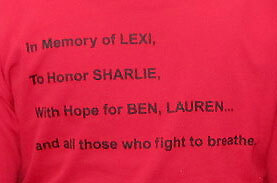 "He is also a great role model and an inspiration to us all. USANA is proud to support Mike's health and nutrition every step of the way, and we are excited he will be joining us after his global challenge at our 20th anniversary International Convention in August." Best of State—the name says it all. USANA’s products have not only been named the best of state, but so far this year, we have also received 10 AVA Awards, six 2011 Multi-Level Marketing (MLM) Insider Awards, 14 Communicator Awards, and much more. That’s right. We’ve taken the “you name it, we win it” slogan to a whole new level this year. In just four months we received 43 awards, nearly as many as the record-breaking 45 accolades we took home last year. These awards not only boost the validity of our high-quality products, but also highlight the strengths of various departments within the company. To date this year, USANA has received four Best of State awards, recognizing Rev3 Energy®, HealthPak™, MyHealthPak™, and our Research & Development department as the most outstanding nominees in their respective divisions in the state of Utah. The AVA Awards recognize the evolving role technology plays in the transfer of information, and honor excellence in digital evolution. USANA was presented with 10 AVA Awards for video productions, web design, and documentaries—once again proving that we are on the cutting edge. MLM Insider Online is the watchdog publication of multi-level marketing companies. Each year it hosts a survey to identify the best in the industry. 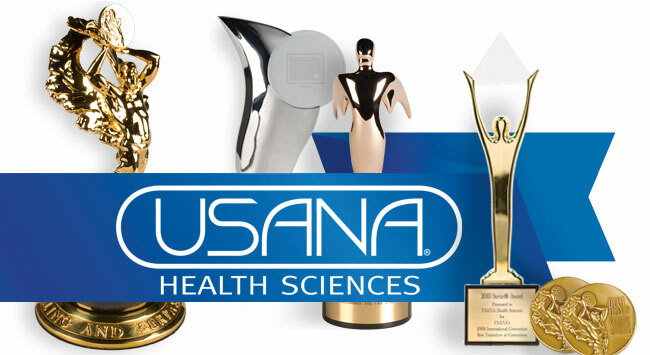 USANA snagged six awards from the 2011 survey, naming us the number one company in network marketing, best nutritional company, best weight-loss company, and the company with the best compensation plan. The Telly Awards support creativity by honoring the finest film and video productions, locally and around the world. In 2011, the Telly Awards received more than 11,000 entries, and USANA rose to the top and claimed five awards—one silver and four bronze—for our The Healthy Home and WTA video clips. Our Customer Service department always takes service to the next level, and their efforts were recently recognized with a Customer Service Department of the Year Stevie Award. USANA also received a Communitas Award, which acknowledges our commitment to go above and beyond in serving our employees, community, and environment. USANA’s Communications group raised the bar a little higher when it was recognized with an impressive 14 Communicator Awards. This prestigious international awards program recognizes big ideas in marketing and communications and honors the work that transcends innovation and makes a lasting impact. The list could go on, but let’s suffice it to say that USANA is moving ahead at an incredible rate and growing stronger with every award. Thanks to you and our world-class products, we have broken all our previous records and continue to press forward as leaders in the direct-selling industry. Timothy Bradley is in the middle of the ring, alone. He’s moving. He’s bouncing. His calves coil and unfurl with every spring and shuffle. But on the walls of the Boys and Girls Club in Indio, California, he is a captive—frozen in poses next to fighters that seem oblivious to their fate. Tim’s is one of many faces mostly glaring from their pasted perches. But on the poster his trainer sets on a chair facing the ring, a belt draped over each shoulder frames a championship smile. He’s bobbing. He’s throwing combinations. His shoulder and back muscles ripple underneath a dark grey shirt with each strike at shadows and empty space. He’s familiar with throwing punches. He has a history with them. Tim fought his way through elementary school—using his fists to protect him and his sister from ignorance and racial slurs. Now he’s claiming the canvas with quick, confident, graceful steps. The pristine white tape covering his fists flashes with each fresh flurry. Similar punches knocked out his first professional opponent in the second round back in 2004. Since then, Tim has fought his way out of the rough streets of Cathedral City, California, and into one of the biggest bouts of 2012—along the way, landing big blows against some of the best boxers in the world. And he’s not done yet. The lights are off.The blinds are pulled up enough to allow some of the 93-degree May sunshine to stream into a room that’s more kitchen than training room. Timothy Ray Bradley Jr.—fighter, champ, son, husband, father—sits on the dark green pads of a massage table. In a month’s time, things will become much more well-lit for the man they call Desert Storm. That light will take many forms: a neon glow radiating from another desert oasis—Las Vegas, Nevada, a city of bright lights and big winners—a bank of bulbs bathing Tim in the right amount of TV-ready light; and the single beam of the world’s attention focused on the man meeting Manny Pacquiao inside the MGM Grand Garden Arena. Tim has wanted this spotlight since he was a green fighter. He dreamed of being a Vegas headliner with his face on the chips and his name in lights. Now he’s number one at 140 pounds and one of the 10 best pound-for-pound fighters in the world. Desert Storm has never been stopped in 29 professional fights. Ever since he beat the WBC Super Lightweight belt off of Junior Witter in England in 2008, Tim knew he was destined for greatness, destined for this moment against one of the best pound-for-pound fighters today—or ever. The Pacquiao fight will certainly put food on the table for Tim, his wife, Monica, and their three kids—a son and two daughters. But he is hungry for more than a meal can provide. And he says that hunger will make all the difference on June 9. It brings with it more noise. The ring squeaks each time Tim backpedals and dances, and he adds the occasional grunt as he enters his final round fighting a phantom. A camera flutters as a photographer takes pictures of the action. And the voices of top-40 radio are joined by a chorus of Team Bradley members. Joel Diaz is where you’d expect a trainer to be—leaning against the pads in the corner. 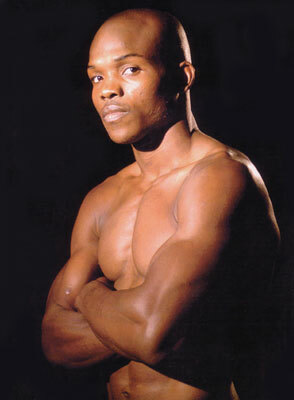 He has fought phantoms and fighters, landing plenty of punches in a career that ended prematurely with a record of 17-3. Now he throws out the right combination of jokes and instructions. Tim likes to keep things light, so laughter is a prominent part of the gym’s soundtrack. A little later, the work continues with Ray lacing his son up. The yellow and purple gloves cause something to turn in Tim. Diaz—black Nike golf hat flipped backwards—has the hand mitts on. An icy stare flows over the gloves hovering in front of Tim’s face. He bounces and pounces, his gloves generating a yellow storm accented by the violent pop-pop-pop of machine-gun thunder. Broken thumbs, bone spurs, a broken tibia, and more. Sure there’s been pain, but that doesn’t mean Tim’s not as healthy as a lifelong fighter can be. He believes if you don’t have health, you don’t have anything, and he goes to great lengths to maintain his. Four years ago, during the training for his first title fight, Tim went vegan. One of his doctors told him to think about gorillas. Told him to think about their endurance, strength, and size. Told him to think about their diet—no meat at all. That was all Tim needed to know. During the training for each of his subsequent fights, Tim removed meat from his diet, choosing instead to spend the energy used to digest animal protein on training and outlasting opponents. The same doctor suggested Tim try USANA. “I remember the first time I took USANA,” he says. “That week, I was like, ‘Wow.’ My energy level was just through the roof, and I was like, ‘What is this stuff? I got energy, man.’ I was hooked. It’s not the ding of a bell, but this isn’t the MGM Grand, either. Outside is desert baked to a bland brown, not the flash and frivolity of the Vegas Strip. There’s no neon sign or 50-foot-billboard announcing the fight. Instead there’s a white board on the wall near Joel’s office. Written in black marker—with letters the same size as those used to list other Indio boxers—it reads, “6/9 Tim Bradley vs. Manny Pacquiao. Las Vegas.” No circles or stars. That’s it. Celebrities aren’t seated ringside hoping to see and be seen, either. A handful of onlookers in hats and shorts, and the family and support staff that make up Team Bradley are the only witnesses to the work done today. The newest member of the team is not among them. “She’s trying to box too much, so I had to give her a day off,” Monica tells Kathy when she asks where the baby is. All of these things—the lights, the glitz and glamour, the signs, the celebrities, the moment, and the glory—lie ahead. Right now there’s just waiting and working. Mostly the latter. When the sun goes down on this Thursday in early May, Tim will have been up since 6 a.m. He will have worked out at the track for three hours. He will have spent the afternoon training with Diaz. And he will have coached his son’s football team. Thursdays are his light days, but Tim is propelled by the thought of his opponents outworking him, by the people on Team Bradley who depend on him to feed their families, and by the need to secure a future for his 9-month-old daughter, Jada. 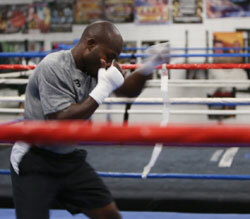 Watch Tim Bradley on June 9th on HBO Pay-Per-View, and make sure to tweet and Facebook about it. Check out USANA social media—including What’s Up, USANA?—for on-site Bradley-Pacquiao fight coverage. Also check back for a fight recap and an in-depth look at the big fight on USANAtoday later this month. 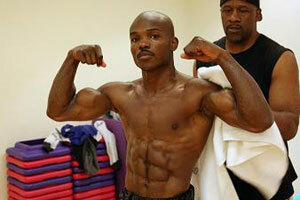 **USANA proudly sponsors Timothy Bradley with complimentary USANA products. On the verge of filing for bankruptcy, single mother of five Collette Larsen knew she had to find another option. Her daughters’ failing health demanded her attention, making it impossible to hold a full-time position. Yet the bills kept coming in and the future seemed bleak. Fortunately, things began to change once her brother introduced her to USANA. At first, he began purchasing monthly supplements for the family, and then Collette started working her own USANA business in order to pay for the Autoship. After a few months, however, she realized she could actually make money with her business and began paying off her bills. Within a year she became a Gold Director and decided to make it a career. You’ve probably heard this story before, but as a mother you know well the difficulties of juggling a slew of responsibilities. It can seem nearly impossible to squeeze in a full-time job along with keeping house, picking up the carpool, packing lunches, planning meals, and staying fit. But as Collette’s story proves, USANA can give you the time and freedom you need to do it all. By running your own business, you can free up your time for the things you care about the most. “I believe women can absolutely do this today,” she said. Set your own work hours and stick to them. This will ensure that you spend quality time with your family and get your work done on time. It will also allow you to keep a more balanced lifestyle. Find similarities as you prospect. As women and mothers we definitely share commonalities. Try to find those common bonds and weave USANA into the conversation—use it as a foundation to build on. Let it change you. USANA can give you confidence, expertise, and experience. 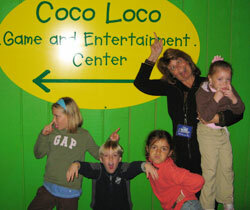 Embrace the change and let that influence carry over into your family for generations to come. “There is a whole different energy in my family dynamics as a result of signing that application 19 years ago,” she said. The figures in this publication should not be considered as guarantees or projections of your actual earnings or profits. Success with USANA results only from successful sales efforts, which require hard work, diligence, and leadership. Your success will depend upon how effectively you demonstrate these qualities. The average U.S. Associate made $656.77 in 2010.